There's nothing like having a body work optimally, and there's no probiotic quite like Florastor®. It's the #1 probiotic worldwide, it's the #1 pharmacists' probiotic choice and it offers a host of unique benefits. 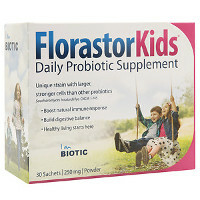 Taking Florastor daily can help aid with healthy digestion, maintain intestinal balance, and even support your immune system. Get the power of NOTHING on your side.